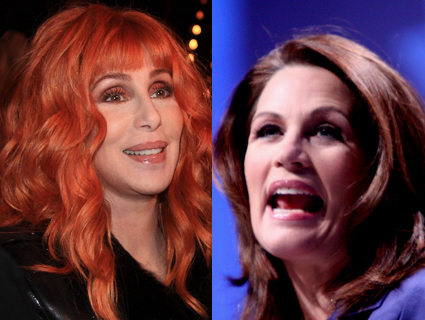 Cher and Michele Bachmann: Not BFF's. The Great Twitter Schism of 2012, Cher vs. The Bachmanns rages on today. A word of wisdom to both embittered parties; Spellcheck, spellcheck, spellcheck. Oh girl! Sorry, but we don’t cosign on hanging people (even by their balls). Please find another way to make emasculating/testicle jokes about The Bachmanns next time.